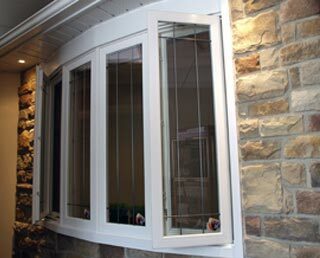 Serving the GTA and surrounding areas with over 20 years of experience in the window and door industry, Infinity Windows & Doors provides you with the most expert and helpful service in refashioning your home through the most modern types of windows and doors. We pride ourselves on thorough consultation expertise and installation work on all types of projects. The Contour series represents the new generation of vinyl windows because it is designed to render the softness and finished elegance of traditional finely crafted wooden windows. What does a contour design mean for windows? Most windows in the market have black rubber around the glass which wears and tears and melts down from the heat of summer. We have eliminated the use of black rubber and replaced it with vinyl contour design, making it trouble free while creating an elegant and finely crafted wood look to your window(s). The second feature of contour design is the use of sliders and double hung windows outdoors in order to change the square look and give both beauty and sophistication in harmony with the front of the window. Most outside windows are painted with our standard popular colours such as sandalwood and cream and are cap stocked for durability (Co-extrusion Technology). Full Size fiberglass screen top to bottom% pure high quality PVC. 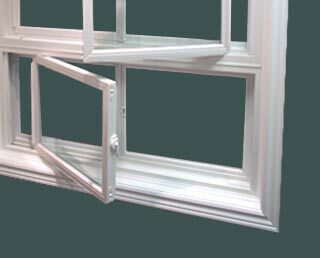 In double hung windows, both sashes slide vertically. Only the bottom sash slides upward in a single-hung window. Ventilation area can vary from a small crack to an opening of one-half the total glass area. Screens can be placed on the exterior of the window unit. Both sashes slide horizontally in a double-sliding window. 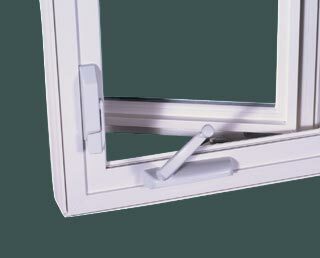 Only one sash slides in a single-sliding window. Ventilation area can vary from a small crack to on opening of one-half the total glass area. Screens can be placed on the exterior of the window unit. The bay window is made up of three or more windows. The side or flanker units project out from the building in 30, 45 or 90 degree angles. The center is parallel with the building wall and is made up of one or more windows. All the units can be stationary, operating or any combination thereof. Awning windows are hinged at the top and open outward. Screens are placed on the interior of the window unit. Similar to casements, the entire window area can be opened, while sliders are limited to less than half of the window area. Infinity Windows can be easily customized for that historical, contemporary or unique personalized look with decorative grills. These are available in variety of colours, including pewter, white, brown and cream, in all popular styles such as georgian, colonial and prairie. Beautiful SDL’s (Simulated Divided Lites) give that classic “individual pane” look to any window and architectural grills can be custom sized for your openings. Infinity Window’s beautiful Simulated Lites give every window that unmatchable classic look that sets off your home like on other feature. Design casement windows to look like Single or Double Hungs or go for the classic look. 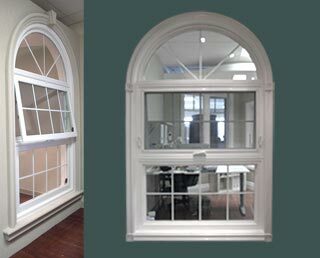 Bring home the beauty and elegance of fine window design but with all the benefits of the Contour Series. Amazing water-based finishes! Accentuate the unique beauty of your home with the revolutionary new finishes and colours from Infinity Windows. These finishes will not prematurely age or embrittle your windows and are dramatically better for weathering performance and the environment. Choose from over three hundred colours or colour-match your favourite shade. Using the latest nanotechnology, your colour choice will be bonded to the surface at the molecular level. With only a single ounce of VOC’s (Volatile Organic Compounds) this is an environmentally sensitive product. It repels UV radiation, and even sheds heat from the surface. This new, and revolutionary textured surface is attracting a lot of attention. This remarkable nanotechnology eliminates surface glare and enhances the appearance of depth and solidity. Add a complementary colour to your exterior and , like magic, our “texture” will transform the look of a home from ordinary to extraordinary. Modern hybrid co-polymer technology imparts a dirt-repelling property to keep your windows looking fresh with minimal maintenance. “Texture” is a new standard. low E2 (272) or low E3 (366). 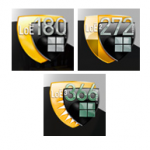 Please call us and ask which energy efficient Low E glass will best fit your needs. Energy Star. Our windows are designed to give you greatest savings, virtually paying for themselves by saving you 30 to 40% of your heating and cooling costs. 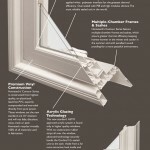 Infinity Window’s Contour Series are certified high performance Energy Star windows. Canada’s Energy Star zoning program finds all of the GTA and most of Ontario including North Bay and Sudbury in ‘Climate Zone “B”’, not the colder zones “C” or “D”. Here, close to the US border’s hot zone “A”, intense solar heat gain and destructive UV exposure can cause stifling heat and much discomfort in our homes and offices just as they do with our cars parked in the sun. 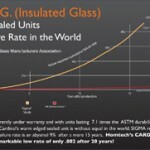 Hometech’s spectrally selective CARDINAL I.G. Low E windows can avoid these common high E.R. 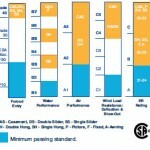 (Energy Rating) level problems. Infinity windows can balance your winter heating comfort and cost savings while also greatly reducing the common problems of solar heat while letting in the beautiful daylight. What’s a kid with a basketball got to do with the decision you’re trying to make about which windows to buy? Well, the kid doesn’t know it but the ball he’s bouncing holds air because of a remarkable product which seals the air inside: PIB (polyisobutylene) – the only impermeable elastomer in the world. 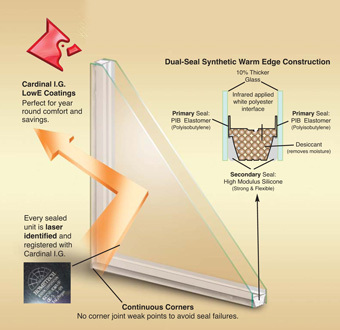 Infinity Window and Door’s Dual Seal System uses this same synthetic elastomer backed by the the great strength of a high modulus silicone to produce the most reliable seal in the world. Sealed Units Directly from the CARDINAL I.G. Factory. 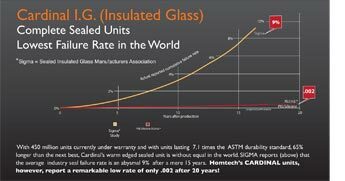 To ensure that its glass units are of the highest possible quality, Hometech’s sealed glass units come directly from Cardinal I.G. 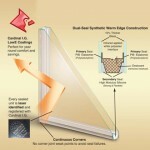 (www.cardinalcorp.com) – the world’s leading manufacturer of premium LowE insulated glass units. Cardinal I.G. manufactures these glass units using Warm Edge Technology for maximum performance and longevity. They feature as an infrared applied polyester interface (unique to Hometech), continuous reinforced corners, which eliminate vulnerable joints, and a chamber-filled argon spacer eliminating the need for drilling holes which are a significant cause of early seal failure. Industry studies show that Cardinal I.G. 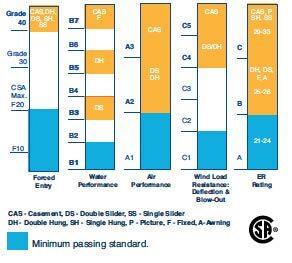 sealed units have a remarkably low seal failure rate of only .002 after 20 years. This compares dramatically to the industry average of 9% after only 15 years (SIGMA study). Be sure to get Hometech. These windows provide a laser-etched identification and permanent computer registration at both Hometech and Cardinal I.G. You will always know whom to call should any problem ever arise. You don’t have to worry about what the future will bring, a key benefit of the comprehensive Hometech warranty. A warranty that works. 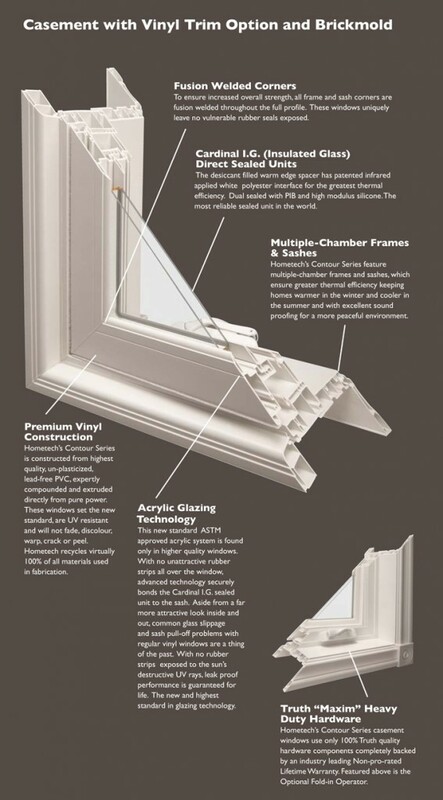 All Frames and sash corners are computer precise and fusion welded throughout for increased overall strength.They are watertight and airtight with no vulnerable sealants or weak joints. Infinity Windows are extruded directly from premium grade lead-free, highest quality PCV compound optimally formulated to resist UV radiation, fading and cracking. Virtually maintenance-free, they resist discolouration. They will not warp, crack or blister, and will absorb shocks. 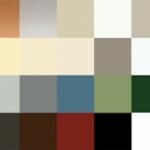 The vinyl’s “painter’s white” colour avoids the common bluish tint of other windows. It complements your window treatments and decorating colours. Efficient Thermal resistance keeps your warm in the winter and cool in the summer. Their added structural strength resists deformation. They also provide excellent sound proofing. Clean glazing technology ensures a weatherproof seal against even the harshest conditions. Infinity’s Contour Series features sashes that tilt inward or outward for easy cleaning no matter which style you choose for your home. All operating sashes can be cleaned from inside, with no dangerous ladders, or messy hoses. Infinity Windows also offers an extraordinary glass option:NEAT GLASS, which harnesses the sun’s UV rays to loosen dirt so that rainwater can rinse it away leaving windows virtually spotless. Infinity Windows is based in the Greater Toronto Area and works with clients from cities and towns throughout Ontario such as Burlington, Hamilton, Cambridge, Stoney Creek, Milton, Oakville, Brampton, Mississauga, Toronto, Markham, Scarborough, Pickering, Halton Hills, Caledon, Vaughan, Richmond Hill, Woodbridge, Etobicoke, North York, Concord, Maple, and many more. With hundreds of styles to choose from, we make it a pleasure to find that perfect front-door solution for your home. We really can make a profound difference and give your home the customized look you have always desired! Infinity can help you make the proper decision for your needs and budget, and provide the expert installation services that are so important when changing an entry door. We will also come to your home to help plan & organize any window repair, replacement and/or larger remodeling window project. No job is too small. 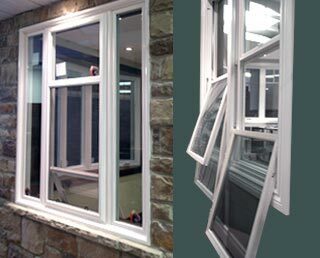 We have installed beautiful and affordable replacement windows including bow, double hung, casements, sliders, awning windows and patio doors in the GTA for over 20 years. 100% pure virgin vinyl UPVC. Some companies apply reusable vinyl that makes their products fragile and weak and prone to discoloration. Infinity Window and Door System Inc.